Las Vegas’ commercial real estate retail sector is forecast to reduce vacancy and boost average lease rates through the end of 2016, according to a third-quarter forecast by Marcus &Millichap, a commercial real estate investment services company. 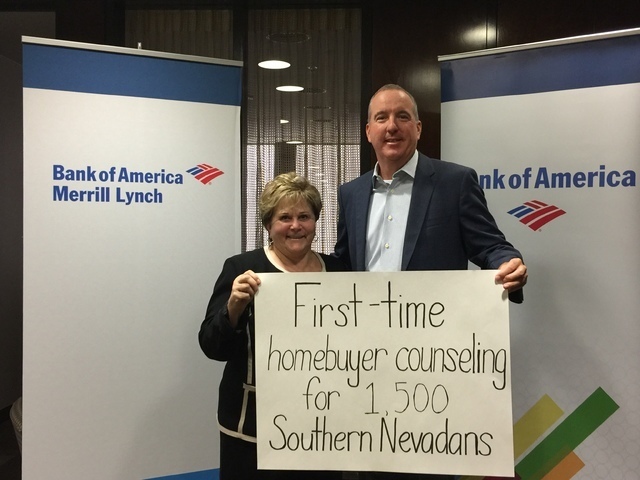 Courtesy Bank of America, aiming to increase access to local affordable housing and support revitalization in local neighborhoods, announced $120,000 in grants to be distributed among several Las Vegas nonprofits. COURTESY Marcus & Millichap, a commercial real estate investment services company, reported the sale of the Sage Point Apartments, at 1400 E. Reno Ave., for $7 million at the end of August. The valley’s retail sector vacancy rate is expected to decrease by 100 base points or to 9.5 percent this year. That’s lower than June’s 9.8 percent rate and down from June 2015’s vacancy rate of 10.8 percent, the report shows. Following back-to-back annual gains in average asking rents, retail lease rates in Las Vegas are expected to improve in 2016 by 2.5 percent to reach $16.80 per square foot. Tourism, a main driver for the city’s retail sector gains, has been increasing, especially for conventions. The city had a gain of 1.7 percent in visitor volume through the end of July over 2015. Job gains also are fueling the retail sector improvement. The report forecasts that Las Vegas will have a 3.1 percent gain in the number of jobs created by the end of 2016 — an expansion of 28,500 jobs. Through the end of June, employers added 16,700 new jobs. This equated to a job gain of 26,400 jobs from June 30, 2015, to June 30, 2016. The sectors with the largest job year-to-year creation gains were construction, which added 7,000 new positions to rise 13.7 percent, and education and health services, which cumulatively gained 7,400 workers. Marcus &Millichap, a commercial real estate investment services company, reported the sale of the Sage Point Apartments, at 1400 E. Reno Ave., for $7 million at the end of August. 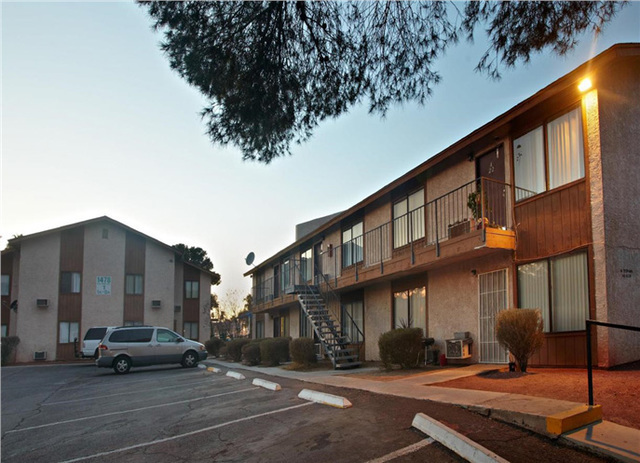 The 128-unit apartment complex was built in 1982 and sits near the University of Nevada, Las Vegas and McCarran International Airport at Reno Avenue and Spencer Street, just south of Tropicana Avenue. Listing agent Cameron Glinton, a senior associate at Marcus &Millichap’s Las Vegas office, disclosed the names of neither the buyer nor the seller. California-based The Hampstead Cos. acquired the Rose Garden Townhouses community in North Las Vegas, west of West Owens Avenue and North Main Street, for $5.5 million at the end of August from San Diego-based Category III Development, CoStar.com reports. The 115-unit community is spread across several addresses: 1608-34 Stocker St. and 16 E. Webb Ave. The per-unit cost on the deal was about $48,000, CoStar.com reports. The townhouse-style units range from 900 to 1,100 square feet with 50 two-bedroom units and 65 three-bedroom dwellings. 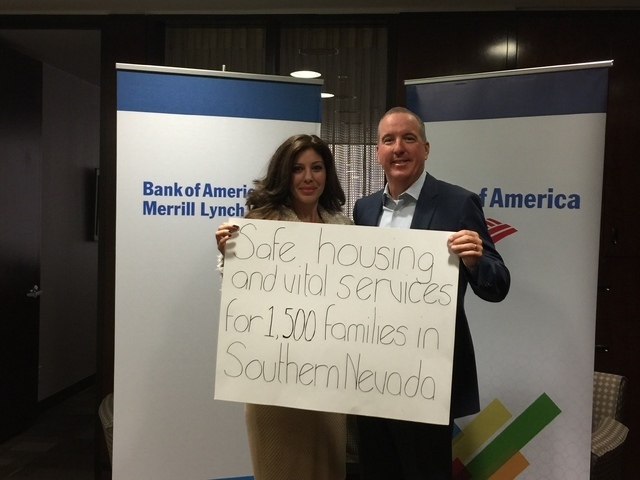 Bank of America, aiming to increase access to local affordable housing and support revitalization in local neighborhoods, announced $120,000 in grants to be distributed among several Las Vegas nonprofits. The grants recipients include a list of eight organizations: Consumer Credit Counseling Service of Southern Nevada, Habitat for Humanity Las Vegas, Las Vegas Natural History Museum, Nevada HAND, Rebuilding Together Southern Nevada, Safe Nest, United States Veterans Initiative and Women’s Development Center Inc. The funding is pegged to assist individuals and families with low and moderate income levels who are struggling from a lack of access to affordable housing.